Ahmed Shaneez and Simad Ahmed, former officers at Maldives National Defense Force (MNDF)’s Special Protection Group (SPG) have been re-arrested. 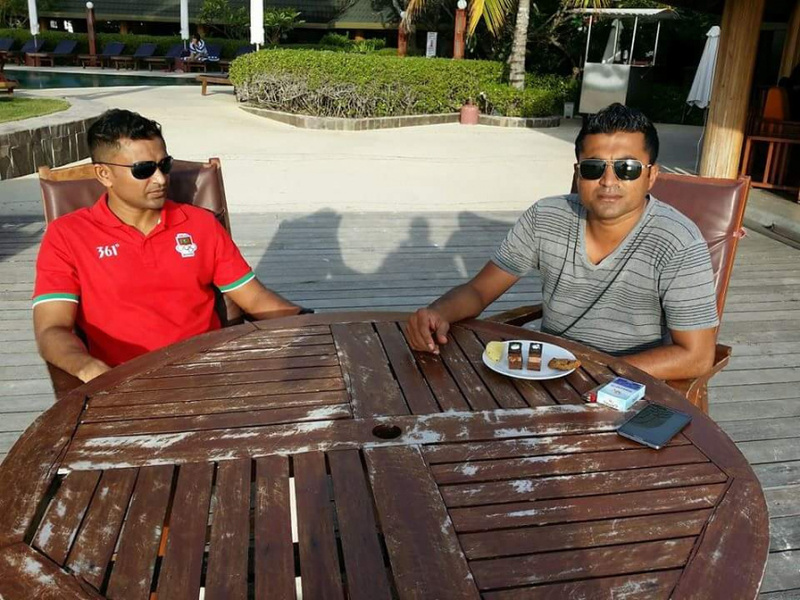 Shaneez – Minister of Tourism Moosa Zameer’s former bodyguard, and Simad – former Maldivian President Mohamed Nasheed’s former bodyguard were re-arrested on Wednesday night, a week after they were released from detention. The two ex-SPG officers were arrested under the declaration of State of Emergency. They were arrested from near a food cart in Boduthakurufaanu Magu in Male’ City by Special Operations (SO) police officers. “Sun” has been informed Shaneez and Simad have been taken to Dhoonidhoo Custodial. A State of Emergency was declared in Maldives for a period of 15 days on February 5. The period was extended 30 more days on February 20. A number of police and military officers have been arrested during the period, some for suspected complicity in an attempt to overthrow President Abdulla Yameen Abdul Gayoom’s administration. Neither the Maldives Police Service nor MNDF have made a comment regarding the arrests.